For the human brain, just about every day is April Fool’s Day. Your mind is constantly playing “tricks” on you, day in and day out, as sensory information from your eyes, ear, nose, skin, and tongue is rapidly analyzed and processed -- sometimes erroneously -- by your brain. A classic example of this is a now-infamous dress that ignited a social media firestorm last winter. Remember #thedress? The image of a sleeveless, striped cocktail dress captivated the nation, as viewers eagerly sought out the reason behind its seemingly shifting appearance. Some people saw the dress as black and blue, while others saw it as gold and white. And in some instances, people were able to see both color combinations simultaneously. This trick of the eye sparked a number of heated debates -- some televised, some over social media -- with viewers going head to head over whose eyes were actually telling the truth. Even President Barack Obama, celebrities, and other public figures joined the mix of confused viewers who were adamant that what their eyes perceived was reality. However, one’s perception and reality are two very, very different things. While the dress was actually black and blue, viewers were able to perceive it as gold and white due to a phenomena known as color constancy, in which the eyes assign specific colors to objects depending on different lighting conditions and surrounding colors. While little is known about the ambient light present in the room when the close up of the dress was taken, we do know that everyone’s eyes perceive shadow and light differently. Using the existing visual cues found in the image, those whose brains perceived the dress to be in shadow saw the dress as gold and white, while those whose brains perceived the dress to be washed out by light saw its true, black and blue colors. Once a second image was posted of the dress worn by a fair-skinned woman standing next to another fair-skinned woman wearing a snow-white wedding dress, it became startlingly clear to everyone that the dress was indeed black and blue. Conversation over. The ongoing struggle between perception and reality is precisely what makes camouflage -- both the ability and various patterns -- so effective. It’s not that your eyes are lying to you; it’s just how your brain interprets the information it receives. Man’s earliest use of camouflage involved smearing mud on the skin while hunting prey to avoid detection by both scent and sight. In fact, many aboriginal tribes still do this today. However, camouflage clothing and patterns are most commonly associated with their rich military history, which dates as far back as the Ancient World. In terms of its military use, camouflage is often defined as the disguising or concealment of military personnel, equipment, or installations by altering their appearance or covering them, to allow them to blend into their environment. 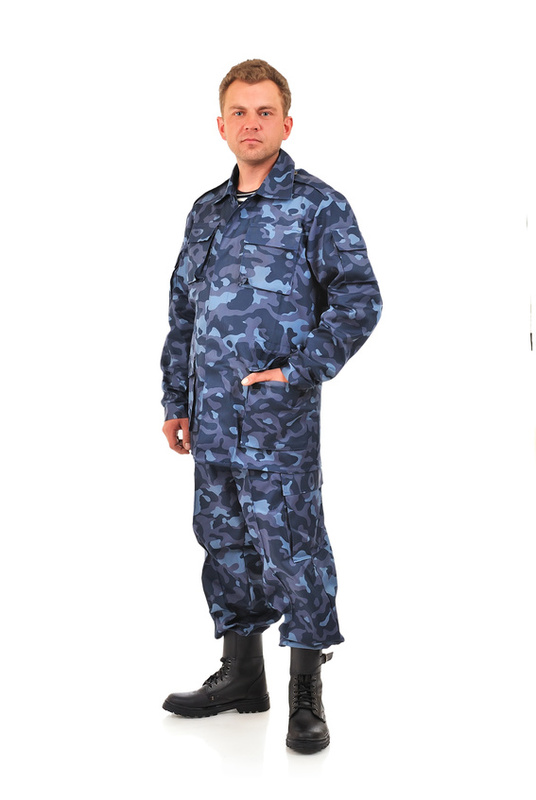 This includes use of the many popular variations of army camouflage clothing patterns that military forces across the globe have incorporated into their battle dress. An early example of the vital role that camouflage played in military history took place during the Gallic Wars of 56-54 BC. During this time, Julius Caesar -- who earned a reputation for being a cunning and ruthless general -- used ship camouflage to conceal his fleet of scout vessels that were used to gather intelligence off the British coast line. The ships, as well as the sailors who occupied them, were painted bluish-green in order to mirror the color of the ocean. Needless to say, the strategy was a success. As time went on, emerging war technology -- particularly the advent of long-range infantry weapons such as the rifle -- completely revolutionized how wars were fought, won, and lost. Powerful long-range weapons took the emphasis off of musket use and hand-to-hand combat, which subsequently changed war strategies. This created the need for camouflage battle dress and gear. The tried, true, and highly structured Napoleonic tactics that once conquered entire nations were soon made obsolete, as war technology continued to advance. These once-successful strategies relied heavily on lines of infantry soldiers equipped with short range weapons marching shoulder-to-shoulder directly towards an enemy force, which was likely to be doing the same. This demanded the recognition of high-ranking officers -- in order to maintain cohesion among the infantry. As such, fanciful, almost costume-like, battle dress uniforms were worn to denote rank and maintain order among soldiers. Unfortunately, these gaudy uniforms also made officers more likely to become prime targets. However, these strategies soon became obsolete as guerrilla warfare tactics such as ambushes, raids, and hit-and-run attacks became commonplace. In their origins, these tactics were mostly used by native peoples and armed civilian militias to fight larger, traditional military forces that were less mobile. In fact, it was this style of warfare that contributed to Britain’s loss of the Revolutionary war. By the time the events that led up to the First World War had taken place, many armed forces had already begun adopting more practical and subtle battle dress uniforms in green, grey, and khaki colors. The French however, were reluctant to relinquish their traditional, conspicuous long-tailed blue coats and red trousers. In fact, when World War I began, the French was the only major power whose soldiers were still dressed in traditional garb. After suffering a devastating loss to the Germans, the French were forced to reevaluate their entire war strategy, which included their battle dress. 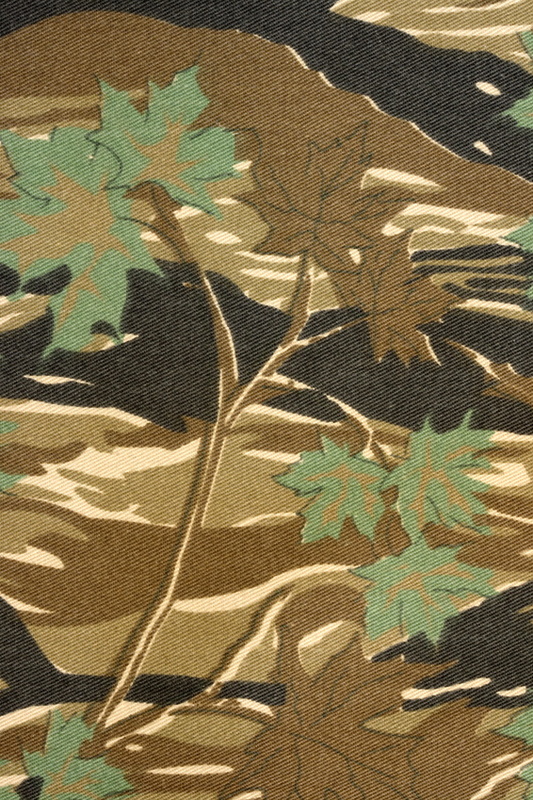 The idea for camouflage battle dress was inspired by the observation trees that were used for low-level reconnaissance. Many of these trees were man-made, using steel beams that were then painted or covered in bark. In addition, it was common to paint large artillery pieces in colors that would help obscure their outlines in forested areas. Consequently, a camouflage corps, consisting of visual artists such as renowned French painter Lucien-Victor Guirand de Scévola, was created and tasked with creating a pattern that would conceal their troops and gear. The camouflage artists, known as camofleurs, borrowed elements from cubism painting techniques as they created the first version of this iconic pattern. The camouflage corps was the first of its kind, and was successful in creating a painted pattern that ultimately gave the French a much-needed advantage. The efficacy of French camouflage inspired other military forces to create similar units consisting of artists, designers, and even architects. This continued well into the Second World War, where camouflaging techniques and uniforms continued to be perfected. The true camo connoisseurs, however, aren’t even human. Several species of the animal kingdom possess a unique and coveted skill known as crypsis, which is the ability to avoid detection. It can be used as either a predation tactic while hunting, or as an antipredator adaptation to avoid becoming prey. Methods of crypsis include nocturnality, subterranean lifestyle, mimicry, and of course, camouflage. Camouflaging techniques can be both auditory and olfactory in addition to visual. Many species of animals have evolved as to visually resemble their natural habitat by means of cryptic coloration, which allows them to match both the color and texture of their surroundings. Disruptive coloration, which visually breaks up the outline of an animal, is also used as a camouflaging technique. This is where optical illusion and perception come into play, as disruptive coloration involves using strongly contrasting patterns as a means of concealment. While this may seem paradoxical, it creates a visual illusion that allows the animal to avoid being seen. A prime example of this is the leopard, whose countershaded spots allow it to blend into the savannah grass while confusing its prey. This is an especially effective strategy for animals who live in a variety of environments, and it allows them to resemble inanimate objects such as twigs, rocks, and even other animal droppings. However, while a leopard may never be able to change its spots, other animals can. Perhaps one of the most fascinating examples of camo-clad animals are cephalopods such as squid, whose skin is rife with chromatophores, or pigment-rich cells which have the ability to reflect light. Squid -- who have perfected their camouflaging abilities over 60 million years -- have earned a reputation as being one of the most well-camouflaged animals. This makes not only makes them some of the most deadly predators, but fascinating to scientists from a variety of fields. In addition to having outstanding vision and a highly developed nervous system, squid can change the color of their skin in milliseconds. Using their chromatophores, squid can produce an array of colors in various combinations and patterns in order to hide themselves. Some species even use bioluminescence to conceal their shadows as a form of camouflage. Aside from hunting prey, this color and light changing ability is also used to attract a mate, communicate with other squid, or as a warning to other squid or marine life. The dynamic camouflaging abilities of squid have caught the attention of a lab at the University of California, Irvine, where a team of researchers led by chemical engineering professor Alon Gorodetsky is attempting to replicate how squid camouflage themselves. Using bacteria, the team has recreated a synthetic squid protein called Reflectin, which is what allows squid to rapidly change color by manipulating light. Gorodetsky’s team is already able to mass produce large quantities of Reflectin in E. coli bacteria. Gorodetsky’s research has caught the eye of the Department of Defense (DOD) as well as the Department of Energy (DOE), which are hoping to create a form of adaptive camouflage that responds to external stimuli for tactical units of the military. The synthetic, purified squid protein has been used to coat tape, stickers, and a variety of other materials in order to measure its camouflaging abilities on land. Though the technology is far from being perfected, early versions of Reflectin-coated materials proved to be successful in that they’re able to adapt and change color by reflecting light in strategic ways. When coated with Reflectin, a strip of shiny material that had natural metallic blue color appeared red when placed on red paper. Similar to the real deal, Reflectin can take on a wide range of colors and hues across the spectrum. The thickness of the Reflectin-coated tape or material also impacts its color-changing abilities. Squid naturally do this by flexing to expand their Reflectin-filled skin cells. In order to recreate this ability, Gorodetsky’s team stretched the tape to change its color, then applied heat to return it to its original shape and color. It also possesses the unique ability to reflect infrared light -- an ability which would be especially beneficial to the military. A synthetic squid protein coating could allow troops to become even less vulnerable to thermal and infrared detection, and can also be used to develop distinct patterns or tags that would allow team members to better identify each other in the dark, thus reducing incidences of friendly fire. When the technology is perfected -- which may still take several years or more -- the battle dress uniforms of the military’s branches would be coated in Reflectin. An adaptive or “smart” material that is able to manipulate how heat and light is reflected also has the potential for several other applications outside the military. Reflectin-coated fabric could be used, for example, to regulate body temperature. In fact, the DOE has recently awarded UC Irvine with a grant to create a “tunable thermoregulatory fabric” that would allow those who live or work in large, drafty buildings such as warehouses to stay warm by using their body’s own radiant heat. This would significantly reduce heating costs by allowing the building to be kept at a more consistent, energy-efficient temperature. The potential of Reflectin has also caught the attention of athletic and outerwear clothing company Under Armour. 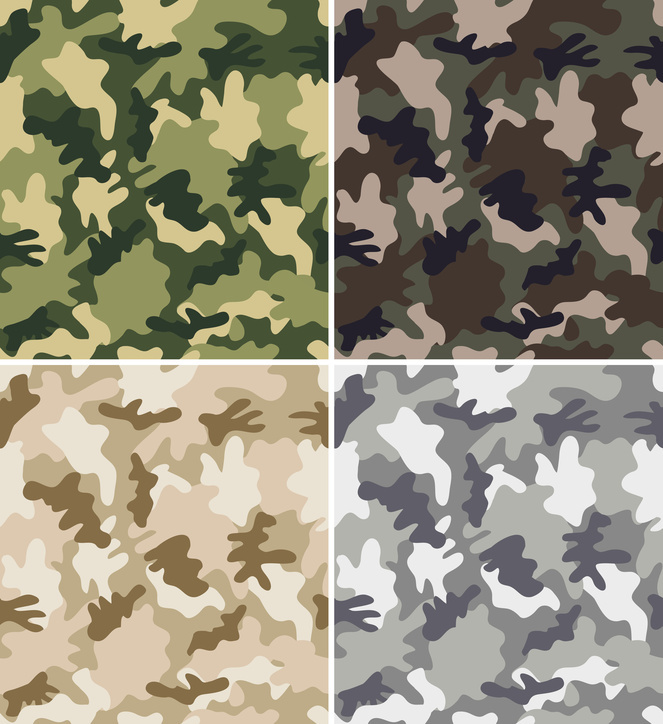 As modern warfare strategies continue to change, so too does the need for more adaptive and dynamic camouflaging techniques. This cycle will continue to repeat itself, just as camouflaging animals -- such as the squid -- adapted over millions of years.